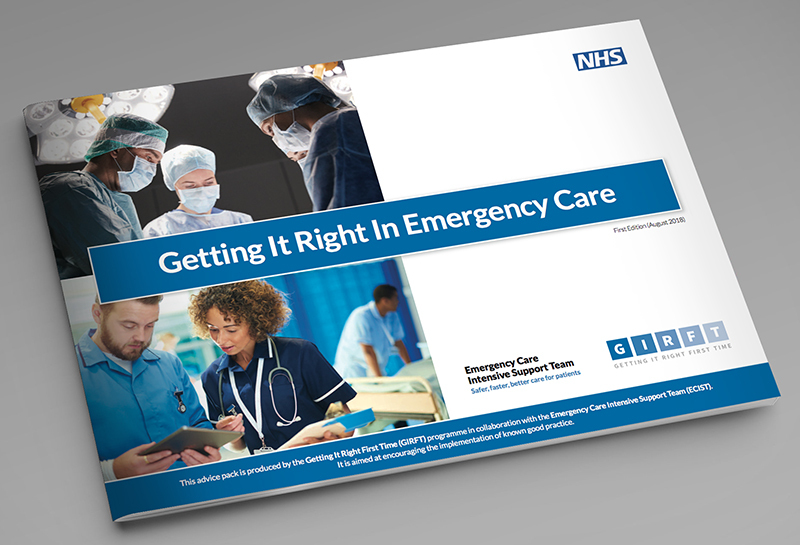 Here is an example of an NHS brochure design Andrew Burdett Design created for Getting It Right First Time (GIRFT), a national programme designed to improve the quality of care within the NHS. We are experts in design for healthcare having worked with the NHS, GIRFT, Smith & Nephew, NRS and Homecraft (to name but a few). Here is an example of an urgent brochure we turned around in only one week. This full colour, A4 landscape, emergency care guide very well received by the NHS Trusts. We received a very loose brief, had to stick within NHS brand guidelines and sourced all the imagery used. 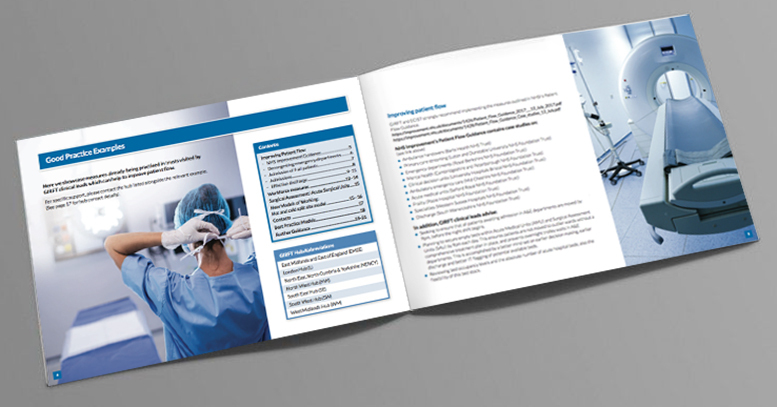 If you require design for your NHS Trust, healthcare company or organisation, we have the experience and expertise to help. Call 01433 208307 for a chat and free quote.